What does Bob Dylan have in common with Sonoma County's literary legend Jack London? Not much, if you ask die-hard London fans. But ask renowned Dylanologist Scott Warmuth and you'll hear a different story. 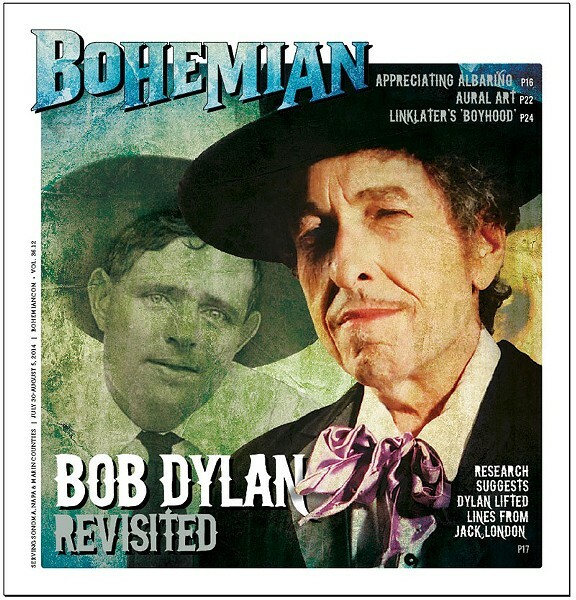 The New York Times, The New Yorker and The Daily Beast have all paid homage to Warmuth's scintillating brand of scholarship, which has stirred up the Dylan world. According to Warmuth, the American folksinger purloined words, phrases and sentences by the dozens from the novels, short stories and letters written by the author of The Call of the Wild, White Fang and nearly 50 other books published from about 1900 to 1916. All the supposedly borrowed lines appear in Dylan's memoir, Chronicles: Volume One, published in 2004. In feisty articles such as the "Dylan Dossier: The Jack London File" and "Bob Charlatan: Deconstructing Dylan's Chronicles: Volume One" that were published online and in the pages of The New Haven Review, Warmuth presents strong evidence of what might be called literary larceny. To make his point, Warmuth prints the original London texts and Dylan's copies so that readers can compare and contrast. In the second of his classic dog stories, Jack London writes, "Life had a thousand faces and White Fang found he must meet them all." In Chronicles, Dylan writes, "A folk song has over a thousand faces and you must meet them all if you want to play this stuff." In the short story "The White Silence," London writes that in the Arctic, "all movement ceases, the sky clears, the heavens are as brass; the slightest whisper seems sacrilege." In Chronicles, Dylan writes, apropos of country-and-Western singer Hank Williams, "When I hear Hank sing, all movement ceases. The slightest whisper seems sacrilege." Many of Dylan's adaptations of London are both playful and brilliant. In his article "Song of the Wolf," Warmuth points to a passage in which London observes that his main character is "forced to the edge of the fire or the deep snow" and that "ten thousand years of culture fell from him, and he was a cave-dweller." Dylan borrowed the imagery and describes Johnny Cash as a kind of "cave dweller" who "sounds like he's at the edge of the fire, or in the deep snow, or in a ghostly forest." Other similarities are less potent. In "Bâtard," yet another dog story, London uses the phrase "a mass of bristling hair." Dylan purloined it and used it to describe folk singer Dave Van Ronk—the inspiration for the Coen brothers movie Inside Llewyn Davis—as "a mass of bristling hair." No big deal, readers might say. But Warmuth insists that when you add them all up, Dylan's borrowings are a big deal, that they show that the singer read London's work widely, that he was captivated by London's language and that he felt so strongly about it that he inserted huge chunks of it into his own work. Call Dylan a blatant copycat or a lyricist in love with London's writing. The title of Warmuth's article in The New Haven Review, "Bob Charlatan," suggests that he wanted to expose the folksinger as a fraud. Perhaps he did. Today, however, he doesn't call Dylan a "charlatan" or a thief. "To nail him down has never been my goal," he says in a phone interview from his home in New Mexico. "From the start, I've wanted to know what books Dylan reads and how his creative process operates, because his art is so compelling." 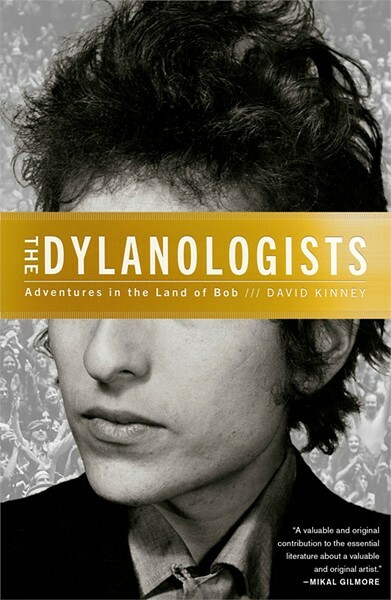 Warmuth is one of several students of Dylan's work profiled in David Kinney's Dylanologists: Adventures in the Land of Bob, a fast-paced book released this spring about Dylan's fans and followers that reveals a lot about Dylan himself. As Kinney recognizes, sometimes it helps to take a sideways glance at an artist and not look him directly in the face.